Hofkirche Innsbruck. Postcard 1910. Interior of the Cathedral. Built as a tomb for Emperor Maximilian I. Church Built in 1577. 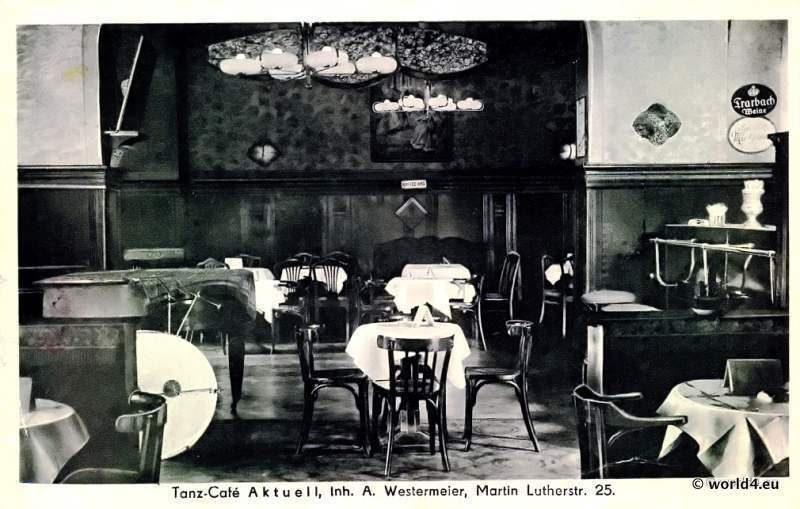 Tanz Cafe “Aktuell”, Berlin Schöneberg 1910. Dutch Room, Berlin Schöneberg. Postcard 1910. Studio design on the top floor, corner room by Wilhelm Dechert. Studio design on the top floor, corner room by Wilhelm Dechert. Art Deco Interior 1930s. Gallery: Art journal – German Illustrated Journal of colored interior design. Bedroom design by Wilhelm Dechert. 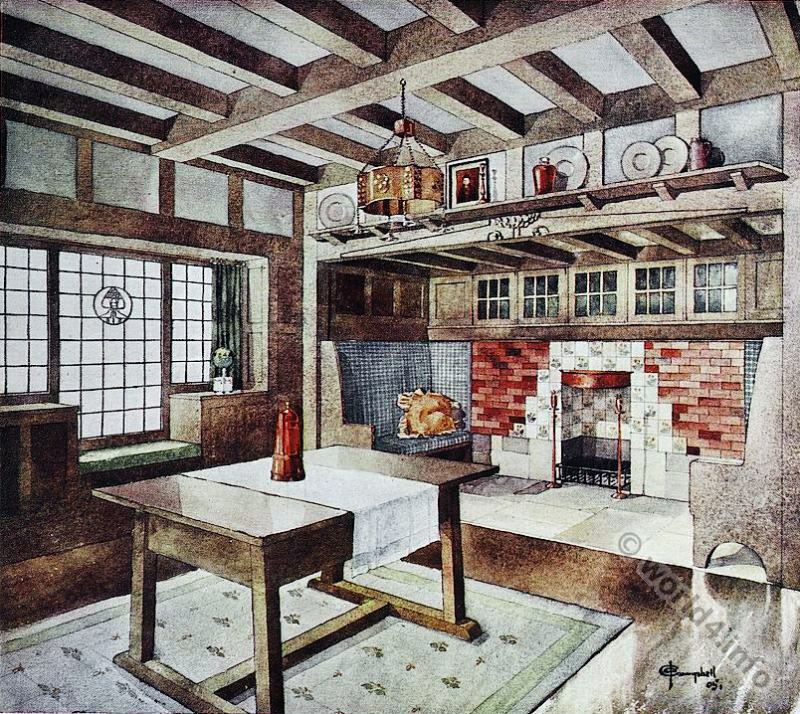 Art Deco Interior 1930s Gallery: Art journal – German Illustrated Journal of colored interior design.